We may be young, but we are mighty, and we have established many traditions in our short history. Whether kicking off the school year with Premier UNLV or fighting for the right to paint the Fremont Cannon, our Rebel pride shines through. Long before Premier UNLV became a campus staple, a number of social events marked the beginning of the fall semester. From the Rebel Roast, a pre-class picnic and BBQ on the beaches of Lake Mead to the Howdy Dance, where new and old students got to mingle on the dance floor, Rebels knew how to kick off the school year with fun and flair. Kick off the school year with a bang – literally at Premier UNLV. 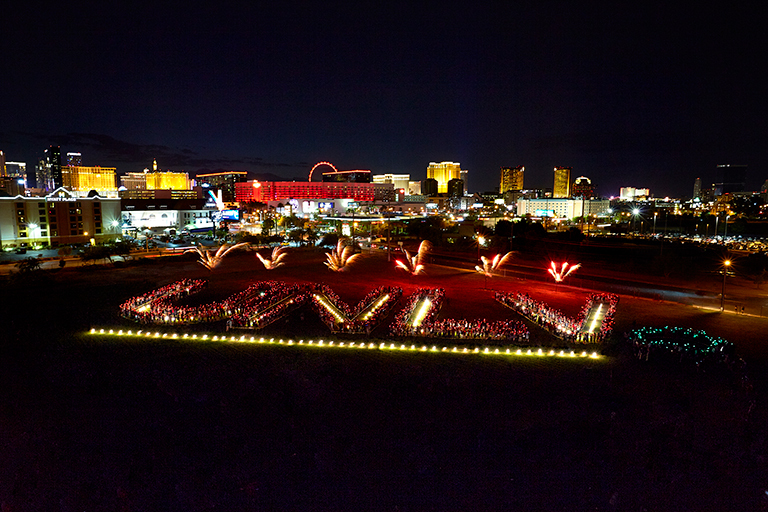 Dance to live music, sing the school fight song along with the band and cheerleaders, and watch as fireworks light up the UNLV letters, illuminating our Rebel Pride. 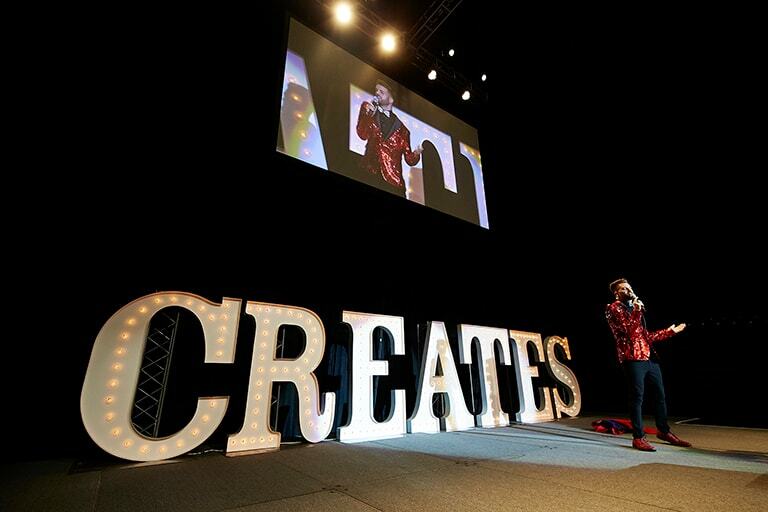 UNLV Creates formally welcomes new students and their families. Learn the benefits of a college degree, pledge to graduate from UNLV, and receive an honorary UNLV Rebel Cord to wear at graduation. Homecoming’s not what it used to be — a handful of events held in the winter that led up to cheering on the basketball team. Now a signature fall event, Rebel Homecoming invites alums to join the entire campus community for a week-long celebration of school spirit, from a festival and variety show, to window painting and a light parade — all leading up to the football game. 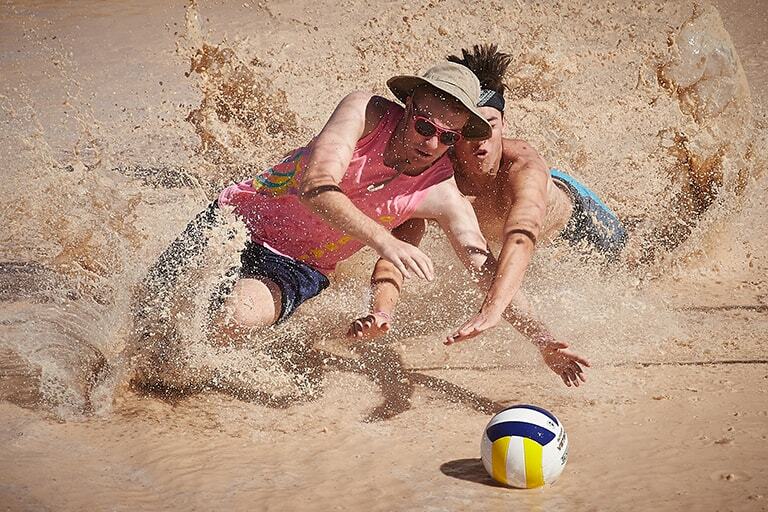 Hands down our dirtiest tradition, Oozeball is also one of our longest-standing ones. Students, faculty, and staff get the opportunity to get down and dirty in the annual mud-pit volleyball tournament. Want to see what makes us so unique? 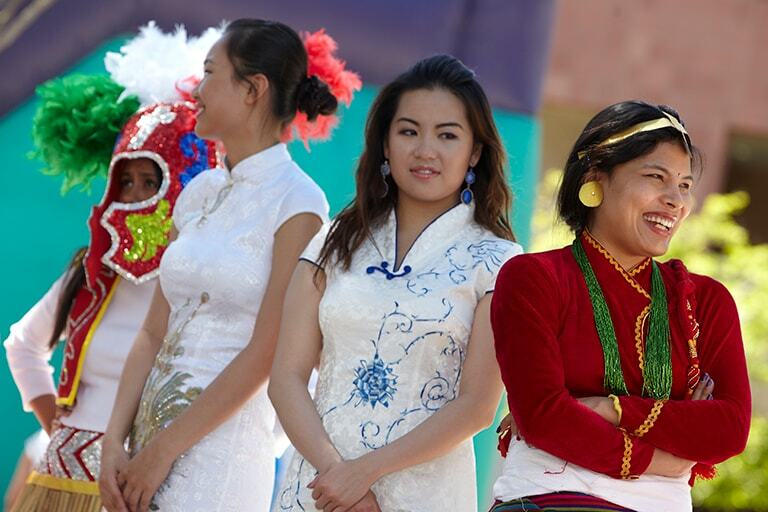 Named the most diverse university in the nation, UNLV invites everyone to the Festival of Communities — our annual spring celebration of unity through diversity. Before UNLV was UNLV, when it was still Nevada Southern, the first graduating class in 1964 was 29 students. The school has come a long way in the last six decades. From that first class in the early '60s through honors for Frank Sinatra, Guy Fieri, and Jimmy Kimmel, our graduates now total more than 128,000 and our commencement traditions continue. We’ve got spirit! How about you? Take a selfie with Hey Reb!, wear your scarlet and gray, and show your Rebel Pride as you drive around town. The heaviest and most expensive trophy in college football, the Fremont Cannon is awarded to the winner of the long-standing rivalry with our Nevada rivals, UNR. 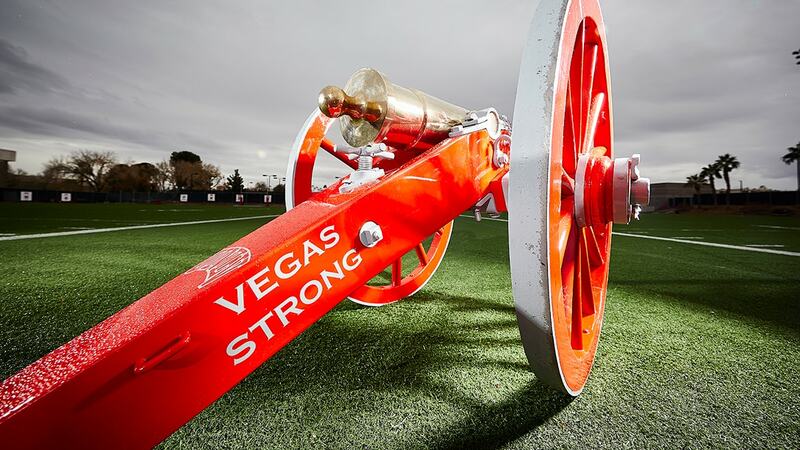 Nothing makes us prouder than painting the Fremont Cannon scarlet. From a winking wolf to a modern-day mountain man, UNLV’s mascot has evolved over the years. But the one thing that's stayed the same is its representation of UNLV's "Rebel" spirit that people have come to know and love. From tumbling and stunts to hip-hop moves and an all male b-boy crew — we’ve got our Rebel spirit covered. 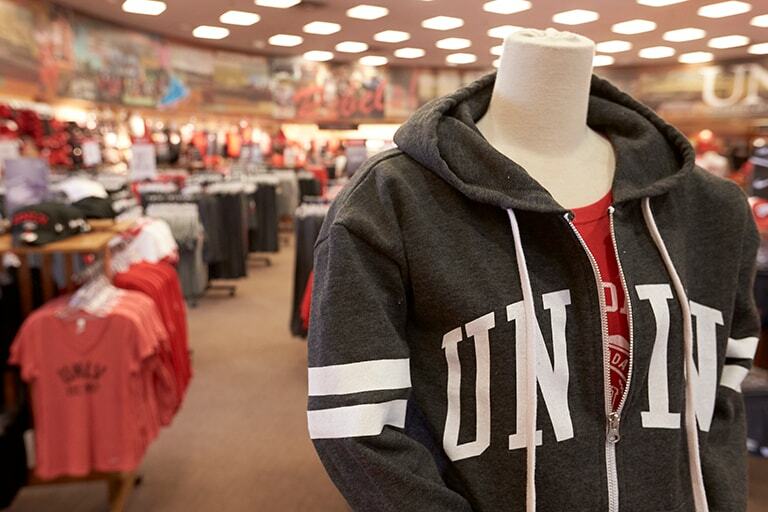 From schoolbooks to sweatshirts, the UNLV Bookstore has you covered. Show your support for UNLV and scholarships with a UNLV license plate. Get in the spirit and listen to Win With the Rebels. 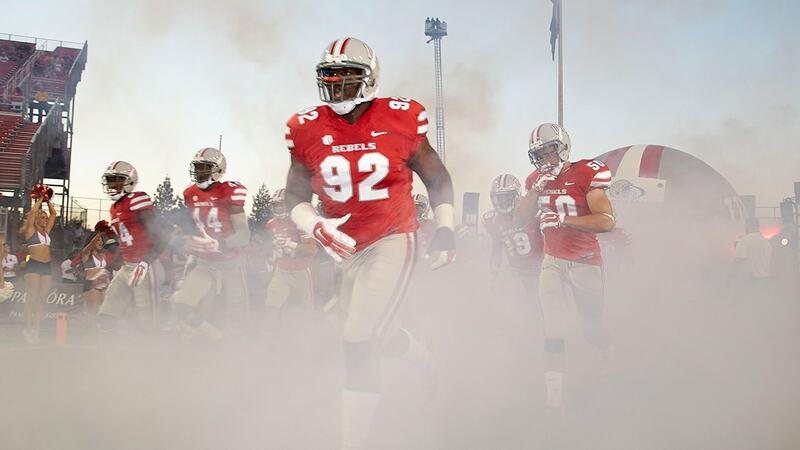 Listen to the UNLV alma mater.